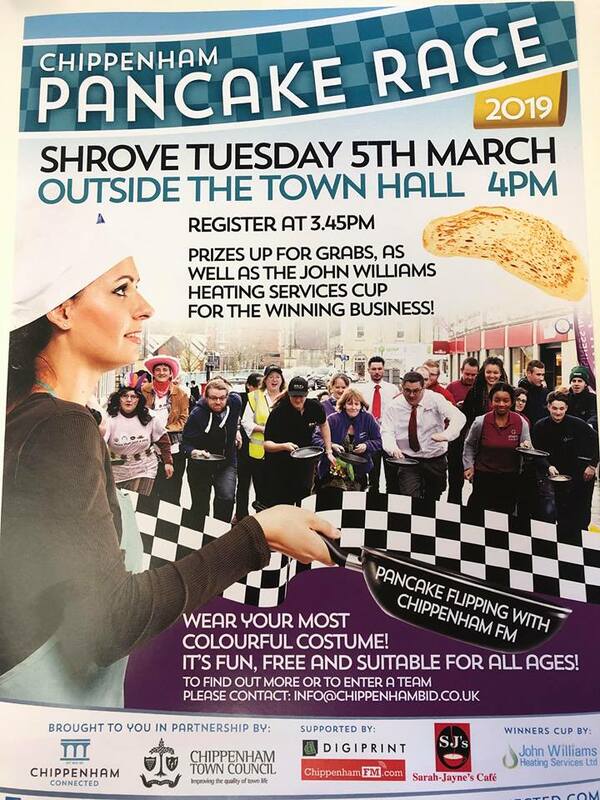 Shrove Tuesday 5th March, outside the Town Hall 4pm. Register at 3:45pm. Prizes up for grabs as well as the John Williams Heating Services Cup for the winning business!